What Is The Procedure, Pain And Cost Associated With A Root Canal Treatment? The particular term “root canal” refers to the inner or passages of the tooth mainly present between the tooth roots as well as pulp. So, this is preferably a dental procedure which is used to relieve root canal pain and also remove infected material. There is a presence of blood vessels as well as nerves in the root canals. Other than sensing cold, heat, as well as other stimuli, not such specific purpose,is served by the tooth nerve once an adult tooth has emerged from the gums. So, the effective removal of a nerve in an infected tooth is considered to be a standard procedure for treating teeth pain which is caused by infection or decay in the tooth pulp. Also, the root canal treatment in Melbourne has become very much popular these days. Damage: Root canal pain, as well as tooth decay, can generally be caused by chips or cracks in teeth. Decay:Tooth decay which has generally penetrated the outer teeth layers and thereby causing root canal pain. Disease: There are several risk factors for infection mainly in the tooth pulp which includes trauma to the tooth, severe tooth decay, large fillings, recent dental procedures as well as chips or cracks in the teeth. It is recommended to take a root canal treatment by your dentist in case the cause of your teeth pain is an infection in the tooth pulp or serious decay. Sensitivity to cold or hot and teeth pain that generally lingers after the cold or hot stimuli which have been removed. Serious pain in the teeth while eating or putting pressure on a particular area. While coming to the cost, it is seen that a root canal procedure is preferably less expensive than having a tooth replaced as well as removed with a dental implant. In the United States, on an average, the cost of a root canal is about $ 520 for a molar as well as $350 for an incisor. Depending on the type of dental professional who treats the problem as well as the severity of disease, this cost usually varies. An endodontist may even charge much more than a general dentist. A root canal is generally considered to be a multi-step dental procedure which involves removal of the infected tooth pulp from a tooth as well as sealing it in order to protect against future teeth pain. Mainly, in the center of the tooth, a special composite filling will be placed at your next appointment which occurs usually up to a week or a few days. A crown or some other tooth restoration is always needed in a tooth that has preferably undergone a root canal. It is required to protect the remains of the tooth as well as to guard against future tooth pain. Some tooth pain, as well as sensitivity, may be experienced after a root canal. So, in order to avoid future tooth pain as well as maintain your crown, you should be sure to follow a regular oral care routine. Also, you should try the usage of soft-bristled toothbrushes as well as oral care products which are specifically designed for sensitive teeth if you observe increased sensitivity of tooth after a root canal. Hurry, book your appointment now and enjoy the best quality of dental related services. Stop struggling with tooth sensitiveness and aches; check with your dentist might be your tooth is having dental issues. Due to impoverished care of teeth, Root canals have become popular nowadays, root canals are extremely adequate to protect your teeth and hold your natural teeth. There is stain that root canal treatment is quite lengthy procedure and is very painful and arduous. Yes, if your treatment is not done from the right hands it can be painful too. Do not take your dental issues casually, before it is always best to discuss your concerns and your dentist. So true yes, you may face the pain of losing your teeth which may end up being more costly to replace. Here is big and most important question does a root canal hurt? The answer, which may amaze you, is NO. Niddrie Dental Clinic says basically Root canals are mostly implemented in order to relax and cure tooth pain. In other words Root canal treatment is also known as endodontic therapy, in this therapy the infection tooth is spotlight for the treatment. At good time and dentist should be well experienced there is no pain in this Root canal process, if it is diagnosed at right time Root canal therapy can save a tooth. It helps and allows million of people to smile again. For any dental action that comprise surgery or cutting of the surface, a good dentist carry out the anesthetics to dazed the nerves encircling the teeth. 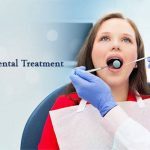 Niddrie Dental Clinic they have all the latest in equipment and utilize anaesthetic techniques to handle the pain. If the procedure is done by expertise most of the times, no pain occurs during and after root canal treatment. Same procedure applies in root canal and in this process; you will feel no pain. Felling may be very little pressure on your gums while the dentist works on your teeth. For a better treatment patient should be relax in way and stop thinking for this word Root canal, pain, discomfort etc etc. Just be relaxed during this treatment and let them work and concentrate on inspecting the infected tooth and giving anesthetic shot. Root canal is quite similar with dental procedure like having a dental filling. How one can feel after Root Canal Therapy? There is no surprise may be you will not feel any pain after the root canal therapy, but yes you may experience continued numbness in your gums and lips. Once the anesthetic influence is over you will regain sensation. Many of you experience some throbbing pain nothing to worry but it can be treated with an over the painkiller. Do remember for a healthy lifestyle, one the most important play is to keep healthy are your teeth and gums. Don’t worry root canal recovery takes a few days after treatment or therapy. They only point is once the infected tooth pulp is removed, one should be feeling much better and of course relaxed from pain. book an appointment with Niddrie Dental Clinic. We look forward to assist your oral health efforts to give you the healthy and wonderful smile you deserve! 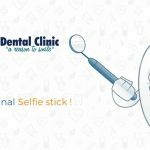 The blog is not yet done, yes if you have fully recovered from your root canal, never forget and make sure to keep up your teeth clean with daily routine and teeth cleanings to maintain good oral health.